I don’t know about you, but I think most concert fans don’t have evil intentions. Most of us just want to spread love, escape and have a good time during a concert. But sometimes what happens is that we get so worked up and emotional at a show that we just can’t contain ourselves. And believe me, I know the live concert experience can make us do a wide range of crazy things, even when there’s no “external substances” flowing through our bodies. Those are just a few of the things that concerts can make us do. And when I read this TMZ DMX story, initially, like most of us, I thought the worst too. But then I thought… what if the fan was simply so overjoyed to see DMX back on stage that he just wanted to give DMX a big “welcome back” hug and not a harmful headlock? Of course, there’s always several complex perspectives to this kind of fan behavior. 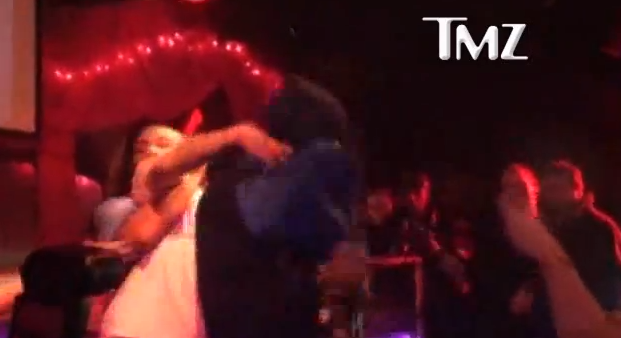 And as of today, we really don’t know much about this DMX fan or why he jumped up on stage. So why do we automatically assume he had malicious intentions? We just never know until we actually talk with the fan to get his side of the story. This DMX situation also makes me wonder if it was a crafty pre-meditated publicity plot to generate some DMX concert buzz. I say that because the fan just easily popped up on stage, did his attempted headlock/hug and then security grabbed him and DMX went right on with the show as if he knew it was coming. Anything is possible and the psychological subplots to the live music experience are so fascinating to uncover, which is why we love exploring and experimenting with this stuff. Were you at this DMX show? What’s the funniest, weirdest, craziest fan behavior you’ve seen? What do you think of concert fan behavior? Share your concert experiences and thoughts in the comments below, on Twitter @livefixmedia, on Facebook or call the concert fan hotline at 773-609-4341, and we’ll include your stories in a future episode of Live Fix Radio.